I walked away feeling empowered, knowing that I was not alone with my challenges and experiences as a first generation South Asian woman...Rina's insights enabled me to expand my worldview and consider my world in a new light. Through her discussion regarding balancing your life and focusing on the quality of your work rather than simply 'hustling,' I reevaluated my own strengths and weaknesses, along with my spiritual/career/emotional trajectory. By reevaluating these areas, I gained a profound insight of who I am and what I want in life and how my positionality relates to these aspects. Rina uses dynamic exercises, facilitated dialogue, and powerful storytelling to engage university audiences across the United States. 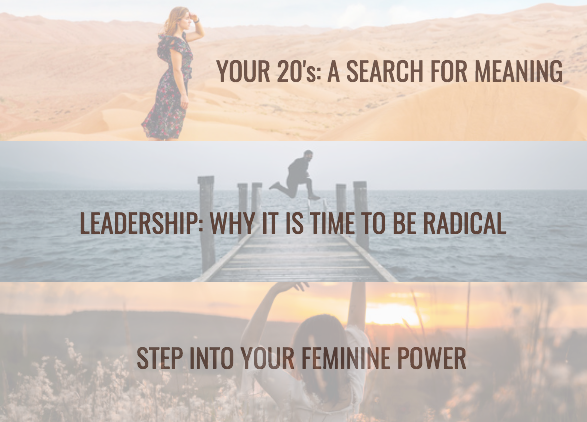 She is on a mission to reach 50 universities in 2018 and 2019 to inspire the next generation of conscious leaders to live life by their own design and find alignment between purpose and livelihood. Rina's personal story and experiences as a first-generation woman entrepreneur provide a diverse perspective for students to learn how to practically apply the content and lessons learned into their own lives. Packages range from 1-3 hour speaking seminars and training sessions to 1-day to weekend long workshops. To book Rina or request more information, please fill out the form below. Thank you for your submission! Rina or a team member will get back to you in the next 24 to 48 hours.